You can't spend all your time in the casinos, right? Enjoy the beach, breeze and a round of golf while visiting Biloxi. Here is a sampling of golf courses in the Biloxi/Gulfport area to help you plan your time on the green. Also, the Mississippi Gulf Coast Golf Association is a great resource. Interesting fact: Water is everywhere along the golf course at Broadwater Beach Resort. 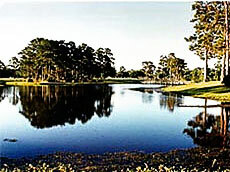 Fourteen of 18 holes involve water. This course was the site of a 1974 PGA Tour qualifying event. 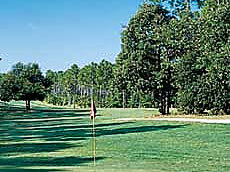 Interesting fact: The golf course at Dogwood Hills opened in 1991 and is one of the area's most scenic courses. Interesting fact: It is important to note that wind is a factor when playing Edgewater Bay. Interesting fact: New owners recently invested more than $1 million to renovate the golf course, formerly known as Blackjack Bay Golf Links. Interesting fact: Walking is not allowed on this course. 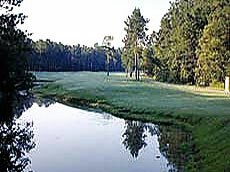 Interesting fact: Great Southern Golf Club is the oldest golf course in Mississippi and overlooks the Gulf of Mexico. Interesting fact: This 18-hole course has nine holes open for night play. Interesting fact: A tee shot over the water is necessary on signature hole No. 5. Interesting fact: The course features two sets of tees for different skill levels and is a full PGA facility. Greens fees: Difficulty: Interesting fact: According to the Windance Web site, Windance has hosted both the Ben Hogan and Nike tours with past winners, including 2003 U.S. Open Champion Jim Furyk, Tom Lehman, and Alan Doyle.